As we anticipated … we are now hearing from the media how much Obamacare premiums will be, and who is really going to pay. Read the post below on CNNMoney for more information. Get ready to shell out more money for individual health insurance under Obamacare … in some states, that is. While many residents in New York and California may see sizable decreases in their premiums, Americans in many places could face significant increases if they buy insurance through state-based exchanges next year. That’s because these people live in states where insurers were allowed to sell bare-bones plans and exclude the sick, which has kept costs down. Under Obamacare, insurers must offer a package of essential benefits — including maternity, mental health and medications — and must cover all who apply. But more comprehensive coverage may lead to more expensive insurance plans. 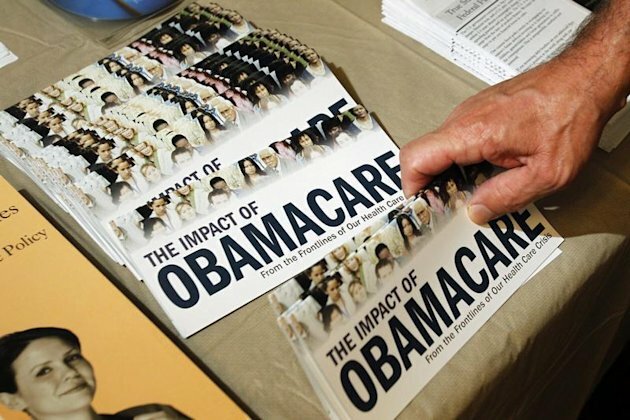 Under Obamacare, all Americans must have insurance coverage starting in 2014 or face penalties of $95 or 1% of family income, whichever is greater. Enrollment in the exchanges begins October 1, with coverage kicking in in January. Plans will come in four tiers, ranging from bronze to platinum. Some lightly regulated states, including Indiana, Ohio, Florida and South Carolina, have recently released preliminary rate information highlighting steep price increases. Unlike the blue states of California and New York, these are Republican-led states that have strongly opposed the Affordable Care Act, as Obamacare is officially known. Comparing this year’s and next year’s plans isn’t easy because the structure of the plans is so different. Each state comes up with its own method. Behind the numbers in 3 key states. In Florida, for instance, officials constructed a hypothetical silver-level plan based on the offerings available today. Then they looked at how the cost of that plan compares to the average silver plan that will be available on the exchange. Florida found premiums will rise between 7.6% and 58.8%, depending on the insurer. The average increase would be 35%. The main driver of the premium increases is the Obamacare mandate that coverage be offered to everyone, said Kevin McCarty, Florida’s insurance commissioner. There are just short of a million enrollees in the individual market in Florida, while 3.8 million are uninsured. The state does not allow new entrants into a “high-risk pool,” which provides coverage to the sick. “People who are in their 50s with high blood pressure have no coverage options,” he said. Ohio, meanwhile, said there would be an average increase of 41% by comparing a trade association’s report of premiums for all plans available today with the average premium expected on the exchange. Indiana officials said prices would rise an average of 72%. But they were looking at the cost of providing care, not actual premiums. All of these rate hikes must still be reviewed by the federal government and do not take into account the fact that Americans with incomes up to $45,960 for an individual and $94,200 for a family of four will be eligible for federal subsidies. So why aren’t there such big premium increases in other states? New York, for example, already required that insurers provide comprehensive coverage to all who apply. Rates there could fall by half since the pool will expand to include many younger, healthier residents under Obamacare. But New York is more the exception than the rule, experts said. Rate hikes depend on age and gender. To give consumers a better idea of how premiums will change, CNNMoney took a look at the plans provided by one insurer: Physicians Health Plan of Northern Indiana. Our analysis found that 21-year-old men will pay a lot more for an exchange plan, but 42-year-old women and 62-year-old men will shell out less for a silver-level plan that comes with a $2,500 deductible and a roughly $25 co-pay for office visits. Under this scenario, a young man’s monthly rate will rise to $214 on the exchange next year, up 63% from today. The woman, however, will pay $284, a drop of more than 7%, while the older man will be charged $615, a nearly 6% decrease. This is because Obamacare requires that women pay the same amount as men and does not allow insurers to charge older participants more than three times the young. Physicians Health expects most enrollees to sign up for bronze or silver plans, which have lower monthly premiums but carry higher deductibles and co-pays, according to Jim Brunnemer, the insurer’s chief financial officer. Today, its members typically buy high deductible plans. While premiums may go up in these states, Obamacare advocates say people will receive more comprehensive coverage. Also, the law limits the amount people have to pay out-of-pocket for deductibles and co-pays to $6,350 in 2014. As always, we will be your source for the Open Enrollment beginning October 1, 2013. Give us a call or visit our website for quotes and to determine if you qualify for a subsidy, how much and how to apply. This entry was posted in Group Insurance, Health Care Reform Act, Health Insurance, Medicare and tagged 2014, affordable health care act, health insurance, high risk pool, obamacare, october 1, premiums, subsidy on August 7, 2013 by deedee.